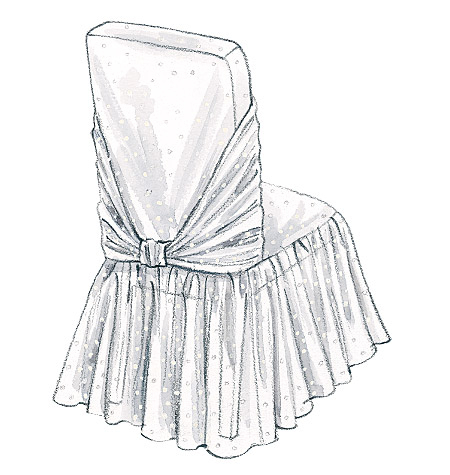 CHAIR COVER ESSENTIALS: Package includes instructions and some patterns for six different chair covers to fit standard chairs. 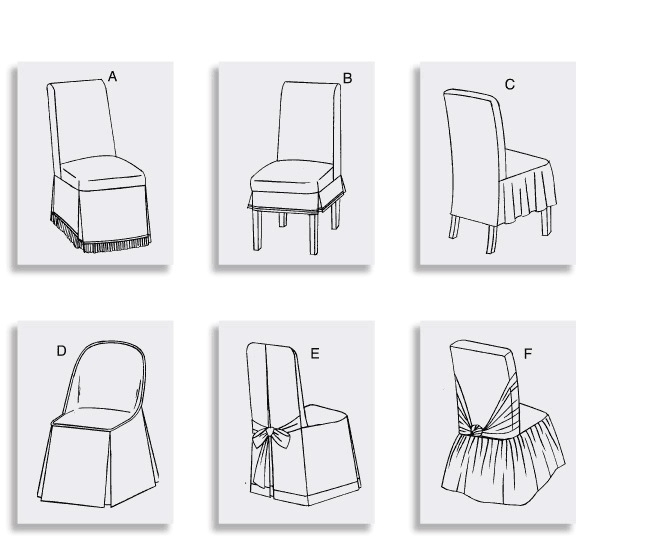 Views A, B, C, F: for Parson's chair, 191/2" × 16" × 381/2", each view with different skirt treatment. 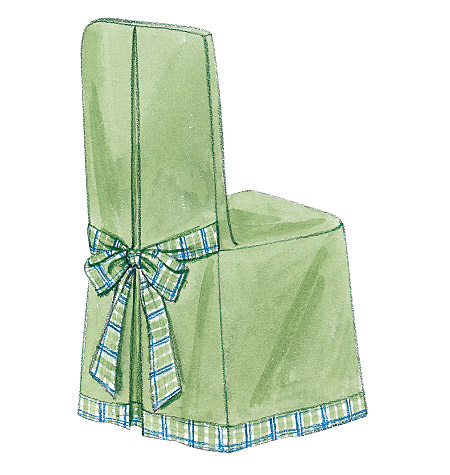 View D: for Folding chair, 16" × 15" × 31", with purchased cord. 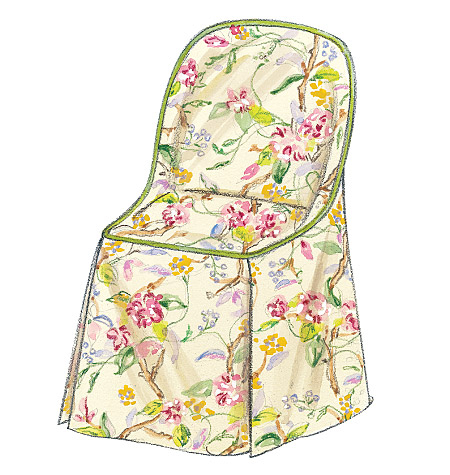 View E: for Ladder Back chair, 18" × 14" × 42", with contrast bow and band. All measurements are approximate at highest and widest points of cover. Note: Proportions of chairs may differ depending manufacturer. Adjustments during construction are recommended for a better fit. 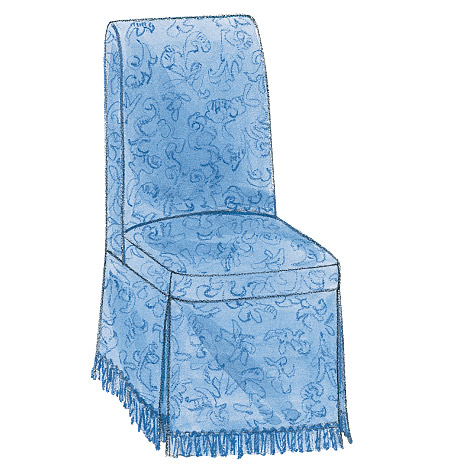 NOTIONS: Thread; Chair Cover A - 31/4 Yds. 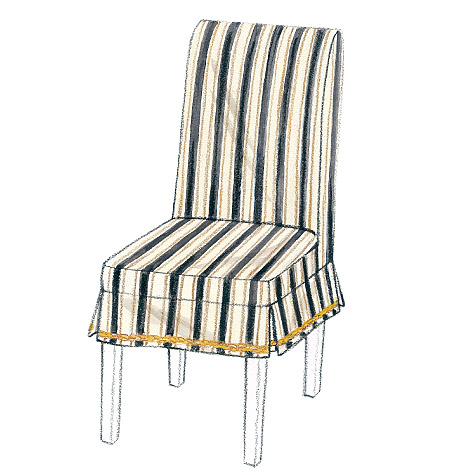 of 3" Wide Fringe; Chair Cover B - 31/4 Yds. of 1/2" Wide Flexible Braid; Chair Cover D - 21/4 Yds. of 1/2" Cord With Lip. 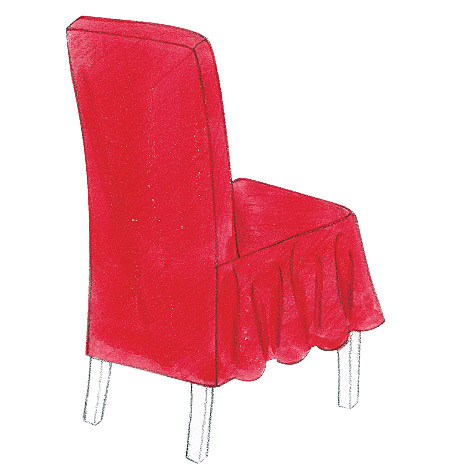 SUGGESTED FABRICS: Chair Cover A, B, D and E - Home Decorator Fabrics; Chair Cover C - Lightweight Home Decorator Fabrics (without Stripes or Diagonals); Chair Cover F - Chiffon · Embroidered Organza · Voile. 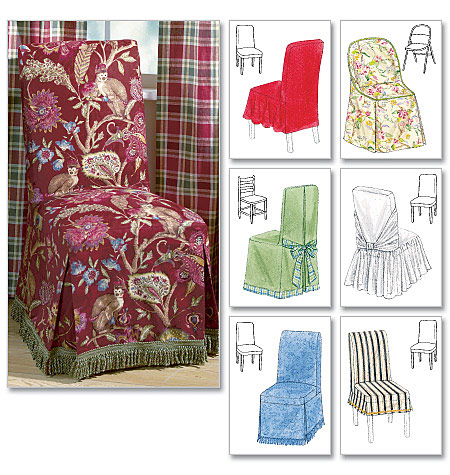 Additional Fabric may be needed to match stripes, plaids or one-way design fabric.